In recent weeks, most of Canada and much of the world has become aware of bacteria-infected beef from the XL Foods plant in Alberta. The Canadian Food Inspection Agency (CFIA) has since initiated a comprehensive inspection of that plant, but a growing number of people are becoming aware of the role of government behind the contaminated beef situation. One branch of the government is charged with inspecting the beef plant while another branch of the same government administers policies that may have contributed to the production of contaminated beef. Throughout evolutionary history, cattle have grazed on grass. Their digestive systems evolved and developed to process grass and their immune systems functioned optimally on that grass diet. Over a period of centuries, humans drank unpasteurized milk from healthy grass-fed cattle without any ill side effects. People have made cheese from unpasteurized milk and eaten that cheese without any ill side effects. Such cheese is available internationally, as is unpasteurized milk from grass-fed cattle. In the years that preceded the outbreak of WWII, the ministry of agriculture encouraged farmers to feed corn and other grain to cattle, to quickly fatten the herd prior to being sent to market. But corn and grain are outside of the evolutionary or natural diet of cattle. Consumption of grain causes cattle to experience distress in their digestive systems. The ministries of agriculture and of public health responded by allowing cattle to be given regular doses of antibiotics to reduce the digestive discomfort that resulted from eating grain. Grain-fed cattle allow government departments to simultaneously look after the commercial interests of grain farmers and of pharmaceutical companies that produce antibiotics and develop genetically modified corn and soy that may be used as animal feed. The use of antibiotics also allows for parts of carcasses of other animals to be ground up and added to cattle feed, a practice that became public knowledge after an outbreak of mad cow disease several years ago in Western Canada. It is perhaps a forgone conclusion that the CFIA will exclusively focus their investigation on the XL Foods plant. Over a period of several generations, the ongoing feeding of antibiotics to cattle has resulted in certain strains of bacteria having evolved a resistance to numerous antibiotic drugs. It has become apparent that some antibiotics, some growth hormones and certain enzymes in genetically modified animal feed may be immune to elevated cooking temperatures. 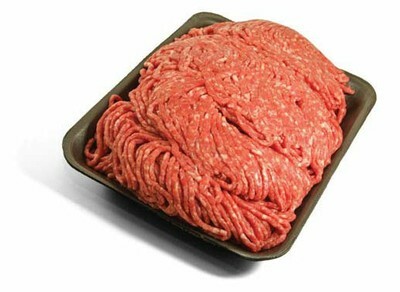 As a result, people may have unknowingly consumed antibiotic and growth hormone laden meat over a period of many years. Antibiotic resistant bacteria have begun to shown up in hospitals where they have led to quarantines due to outbreaks of disease. "It has become apparent that some antibiotics, some growth hormones and certain enzymes in genetically modified animal feed may be immune to elevated cooking temperatures. As a result, people may have unknowingly consumed antibiotic and growth hormone laden meat over a period of many years." It is possible that the growth hormones that are injected into agricultural livestock may be affecting the human population. Medical texts printed prior to 1920 advise of girls having their first menstrual periods at ages 17 to 19, when they completed their formal schooling. Today, girls as young as 10 years of age have been reported as having experienced their first menstrual period. This younger generation of girls also become potential customers for such pharmaceutical products as Yasmin, Ocella and HPV vaccinations. Government officials who are responsible for agriculture and public health seem committed to directly and indirectly protecting the commercial interests of the pharmaceutical industry. The CFIA report will likely disregard the possible occurrence of “leaky gut syndrome” in a percentage of grain-fed, antibiotic-dosed cattle, where digestive bacteria from the intestines, stomachs and colon may enter the animal’s bloodstream prior to its arrival at the abattoirs. Such a matter would likely be outside the mandate, responsibility and jurisdiction of the CFIA, the ministry of agriculture and the department of public health. During the tenure of former Alberta premier Ralph Klein, foreign markets banned the importation of Canadian beef during the occurrence of mad cow disease in Western Canada. Likewise, several foreign customers are now refusing to import Canadian beef due to the bacteria problem at the XL Foods plant. Despite government officials protecting the commercial interests of pharmaceutical companies that manufacture antibiotics, genetically modified grains and a range of feminine products, there is still a free market in the beef industry that could assert its power. The outbreak of mad cow disease a few years ago and the more recent case of bacteria-contaminated beef at the XL Foods plant suggest that government officials are losing their grip on the beef industry. The emergence of antibiotic resistant bacteria may threaten the future viability of the grain-fed, antibiotic-dosed cattle industry as well as erode the power of government agriculture officials. The day may come when foreign food distribution companies assert their market power by declaring that they will only purchase ground beef from antibiotic-free, grass-fed cattle that have been slaughtered and processed at an abattoir that deals exclusively with such cattle.